Hi, today I am going to talk to you about farts. Some people think farts are rude, and some people think farts are funny, like me. I think farts are hilarious. Farting is a fact of life. The Queen farts, superstars fart, and I fart. We will fart until the day we die. And apparently a person can still fart after death! Flatulence, wind or farts, whatever you like to call them, is the production of the mixture of gases in the digestive tract, that are by-products of the digestive process. Nitrogen, the main ingredient, making up 59%; next behind is hydrogen at 21%; 9% carbon dioxide; 7% methane; 3% oxygen and 1% other stuff. But listen to this – hydrogen sulphide is the compound that makes them stink! 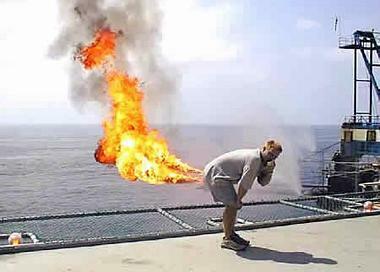 If you are going to fart, do not sit by flames, because farts are very flammable. Also, they can come motoring out of your bottom at 10kmh. No wonder some of you have holes in your undies! Please do not panic if you find yourself trapped in a small space like a closet, as it is impossible to suffocate in your own farts. Anyway next time you fart, don’t think it’s rude. Just know that everybottie, oops, I mean everybody farts. Thank you for listening to my fartastic speech. It gives the body ease. Sophie Paterson won first prize at the Central Hawke’s Bay Primary Schools Rotary Competition in September 2011. She was in year 6 at Flemington Primary.